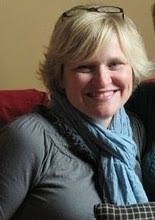 Kari at a Grace Full Life! These are some of the things that can be used to describe Kari at one point or another in her life... loving, wife, funny, sarcastic, skinny, tomboy, mom, neat freak, loud, friend, mature, daughter, chubby, cheap (in the good way, people), happy, old fashioned, motivated, Ohioan, single mom, dedicated, trendy, athletic, outgoing, bitchy, silly, high energy, overstressed, crazy, fun, creative, poor, sick, tired, student, sweet upbeat, hard working, crafty. Goodwill stores, especially those close to upscale areas. Those people give choice "junk" away! Oberweis Chocolate Peanut Butter ice cream. Hmm. Hmm. Hmm. Pottery Barn, Restoration Hardware, Ballard Designs catalogs. For many reasons: they are free. they give great inspiration. they are free. the color turquoise. Love me some blue/green. nap/bed time. Can I get an A to the men?? pinterest.com. Never been?? So much fun! Garage sales, yard sales, tag sales, rummage sales....whatever you call them, I love them. Especially the ones who know how to price their items. 2 bucks for a pair of shorts? No thank you. 50 cents for a pottery barn vase? I'll take two please. picnics. Reminds me of when I was little. Fresh air, sandwiches in waxed paper? Sign. Me. Up. IKEA. The meatballs. The carts that go down the escalator alone. The cheap schtuff that you really don't need but I mean, hey- its 99 cents so why not?? Farm stands/farmers markets. I love that these are "trendy" now and hope they always stay that way. I grew up in a very rural area and these kinds of things were there because that is how we lived. Off the earth, fresh, cut that day. No wonder us kids loved fruits and veggies growing up. spray paint. It can change an entire room with just a 5 bucks and under investment. PS- Home Depot has the least expensive premium (fashion/trendy colors) spray paints. Wal Mart has the least expensive basic (white, black, red) spray paints. flea markets. But don't take the kids. Trust me. Chicago's Mag Mile. Any time of the year is great but my two faves are summer and Christmas. The Real Housewives Series- particularly NYC, Bev Hills and OC...I.Cant.Stop.Watching. 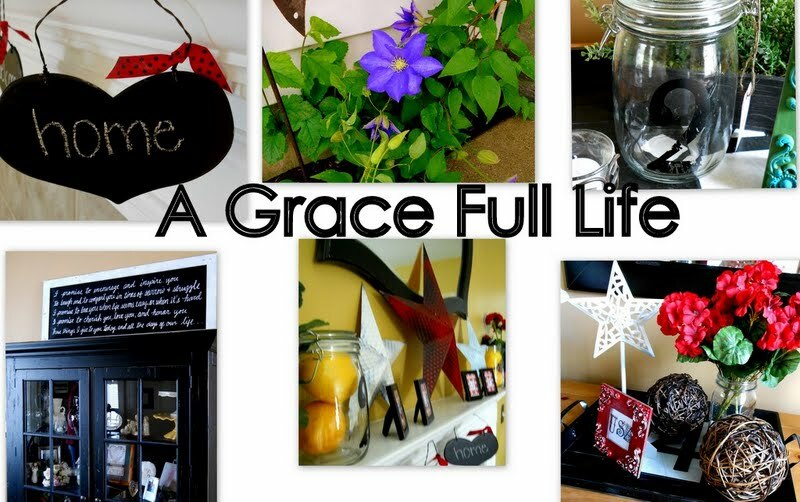 Here are some of the great projects that you can expect to see over at A Grace Full Life! display her wedding vows! I LOVE this!! walmart, and dollar general! Super cute! and some liquid nails... create something adorable, of course! 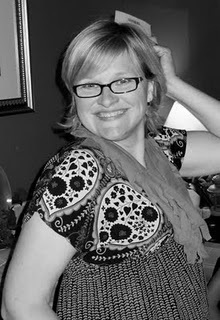 It was so fun to get to know you better, Kari! You are hilarious! 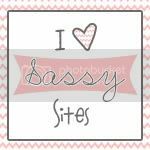 I'm glad to be your new blog friend!! Go check out her blog! She is adorable!! 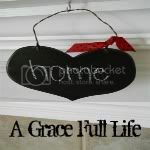 Can't wait to check out "A Grace Full Life" such a darling name! Her wedding vow sign is so lovely and heartfelt...and a great reminder. You made my week! I am sittin' in my jammies doing a chair dance right now!! Thanks so much for spotlighting me!